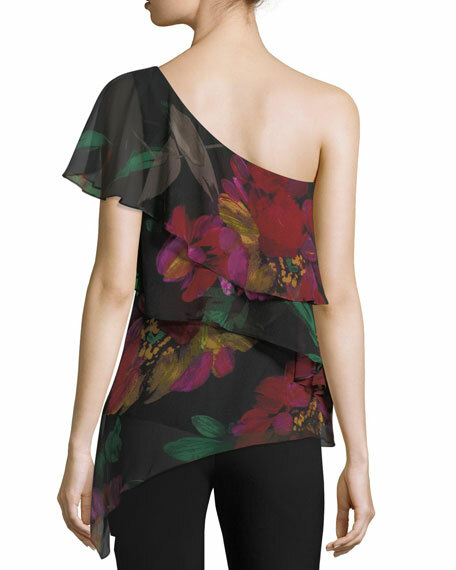 Trina Turk "Dancer" silk top in floral print. California native Trina Turk (who learned to sew at age 11) designed for contemporary and sportswear lines before debuting her own label in 1995. Her collection is inspired by L.A.'s architecture and multicultural heritage along with the desert's poolside lifestyle, which led to a swimwear line featuring fun prints and flattering shapes. 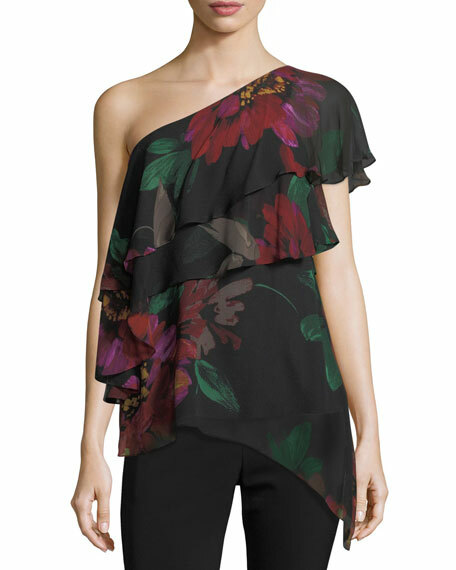 For in-store inquiries, use sku #2386251.